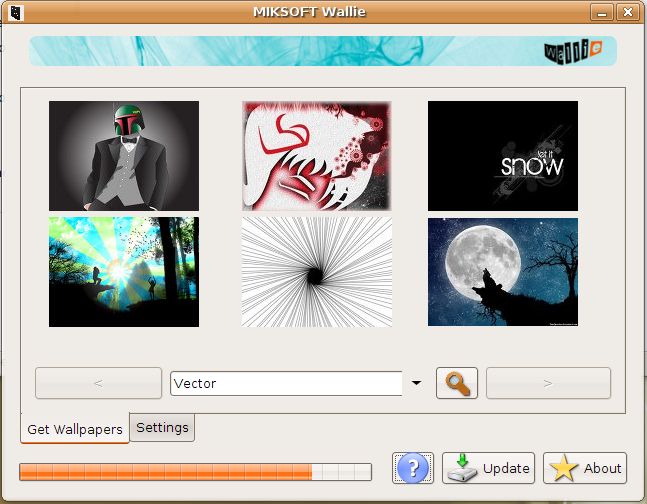 Wallie is an experimental Java application that can directly fetch images from various deviantArt wallpaper categories and download them in your PC. 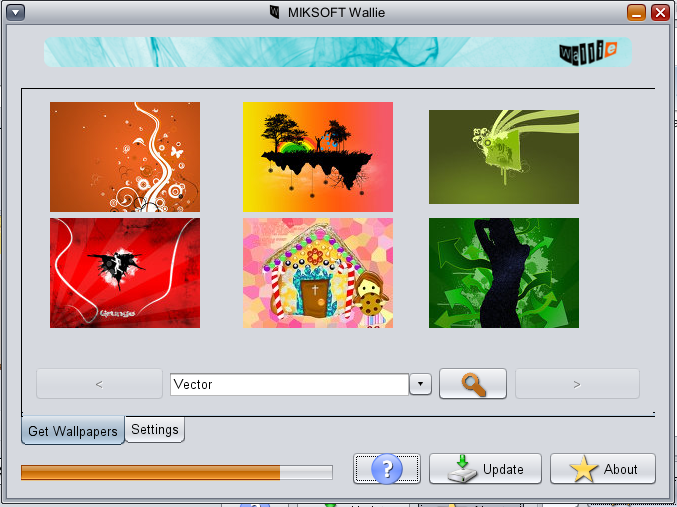 You can then using an external program (or command) to set the downloaded wallpaper as your Desktop background. The application is fast and can be used by even the most amateur users. Java 1.5 or above is required!